Three delightful novellas about detectives traveling on the famous Orient Express. A nice jaunt into a Regency set on the plush train. Kate has lived in India most of her life. Her father has died so she travels back to England on the Orient Express. She is an heiress now, so she decides to go incognito on her journey to reunite with her betrothed. It is a long arranged marriage to a man she only met once as a child. Enter Stephen who is in the service of the Queen. He is also traveling under an assumed name, Mr. Brown. Stephen is on the train, trying to complete one last duty before finishing his Army commission and stepping into the role of Lord Darlington. Kate is reluctant to go through with the arranged marriage and is bent on breaking the betrothal. In his undercover operation, Stephen is looking for a lady spy. Is Kate in his sights as a possible suspect or does he have other aspirations? 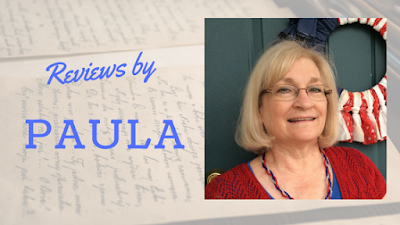 Find out in this well written, lovely, novella. Two strangers meet on the Orient Express. One is a novelist with the pen name Eldrick Stiles, traveling under his real name Marshall Bailey. The other is a detective also traveling under an assumed name. But there is a twist! The detective is Grace Thompson. This novella describes Grace and Marshall getting to know one another. There is lots of trepidation on both parts but an undeniable attraction. What interested me was Marshall’s thoughts. It seems Annette is speaking from experience about the real life of an author— the part the public doesn’t see. All the insecurities and the mundane tasks. I like seeing the “ real stuff”. It makes the characters likeable and genuine. I was fascinated by Grace and her initial distrust of men. She looks for possible scoundrels in order to protect other women from their wiles. She is always looking for a man as upstanding and compassionate as her grandfather. 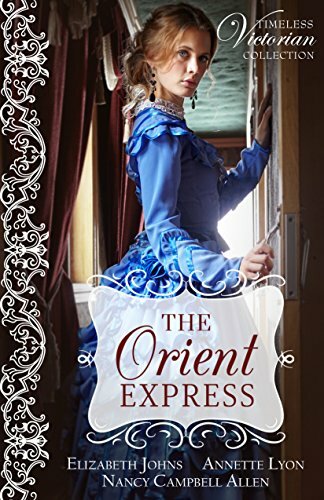 A bogus marriage involving a Scotland Yard detective and a young American lady trying to save her brother make for a merry mystery aboard the Orient Express. Who do detective Vincent Brady and Miss Emily Grant trust on their way to Constantinople to rescue her brother who is being held for ransom? Will they reach him before it’s too late? Will their pretend marriage turn into something more? Another great novella. It really held my interest. With three brand new Victorian Romance novellas by Elizabeth Johns, Annette Lyon, and Nancy Campbell Allen.